Liberty Media Corporation (commonly referred to as Liberty Media or just Liberty) is an American mass media company controlled by chairman John C. Malone, who owns a majority of the voting shares. Liberty Media began in 1991 as a spin-off of TCI, an American cable-television group. Peter Barton, hired by TCI's Malone, served as president until retiring in April 1997. The company took over TCI assets considered to have little value, but Barton completed "a deal every ten days for six years" and made the company a big success. Liberty was merged back into TCI in the mid-1990s. On March 13, 1998, Liberty Media Group and TCI Group announced the merger of Encore and STARZ! into a single company – Encore Media Group, owned by Liberty. Encore was taking advantage of the growth of digital cable, while TCI, which had previously owned twenty percent of Encore, was more interested in traditional cable. After U.S. Department of Justice approval that required TCI to sell its 23.5% interest in Sprint Corporation PSC, TCI merged with AT&T on March 9, 1999 for approximately $48 billion. Liberty Media merged with TCI Ventures Group LLC (TCIVA), TCI's telephone and Internet businesses, and the resulting company became part of AT&T, giving Liberty Media $5.5 billion to repurchase stock or buy other companies. AT&T bought the other TCI businesses – @Home Corp., National Digital Television Center and Western Tele-Communications Inc. – for $2.5 billion in cash. TCI chairman Malone, who became head of the new company, said buyers would not want all of TCI, but they would be interested in Liberty Media. Malone wanted to start a finance unit similar to GE Capital, which could start new cable or Internet services. TCI had already planned digital cable set-top boxes. 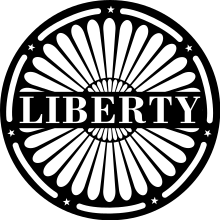 On September 28, 1998, Liberty Media announced the formation of Liberty Interactive, a company which would take advantage of new technologies such as set-top boxes to develop interactive programming. The company would own 86% of TCI Music Inc. (NASDAQ symbol: TUNE/TUNEP). As of January 1, 1999, E! Entertainment President and chief executive officer Lee Masters would become the new company's CEO, and Bruce Ravenel would be Chief Technology Officer. On September 10, 1999, Liberty Media Group renamed TCI Music to Liberty Digital Inc. (NASDAQ symbol: LDIG), with the new company trading on NASDAQ's National Market tier, after Liberty Media traded most of its Internet content, interactive television assets, and rights to provide AT&T's cable systems with interactive services, in addition to cash and notes valued at $150 million, for TCI Music stock. Masters, who became Liberty Digital's CEO, told The Wall Street Journal that the new company had a value of $1 billion, $650 million of that from the interactive unit of Liberty Media, which had also used the name Liberty Digital. Liberty Digital lost $244 million with revenue of $66 million in 1999, thanks to investments in struggling Internet businesses homegrocer.com, drugstore.com, TiVo and iVillage. The company bought half of the Game Show Network because of its interactive features. On December 17, 1999, TCI Satellite Entertainment Inc. (TSAT), based in Englewood, Colorado, announced that Liberty Media was trading its interest in Sprint PCS for $300 million in TCI Satellite preferred stock. A new company, 90% owned by Liberty Media and 10% owned by TCI Satellite, would combine the satellite-related businesses and take advantage of the growing area of Internet content. Liberty Media president and CEO Robert R. Bennett said the deal would benefit stockholders of both companies. Another new company was Liberty Livewire, formed from Todd-AO and two other companies by Liberty Media, which provided audio and video post-production services. David Beddow of TCI became CEO. Liberty Media's Discovery Channel and QVC continued to do well, but the newer projects had problems and the company's stock price dropped by half. If AT&T agreed to spin off Liberty Media, new deals such as a possible News Corp. purchase of DirecTV would be easier because AT&T would no longer require federal approval to complete such deals. Liberty Media was spun off from AT&T on August 10, 2001. This was one of three possible actions to ensure federal approval of AT&T's $54 billion acquisition of MediaOne Group – the others were selling its 25.5% share of Time Warner Entertainment and dropping 11.8 million cable customers. Also in 2001, Liberty Media acquired the remainder of Liberty Digital and Liberty Satellite & Technology (formerly TCI Satellite). Both companies were independent spinoffs of TCI, though Liberty already owned 90% of both companies after the exchange for Sprint PCS stock. Being independent increased their asset values, but the stock prices of both dropped, negating any benefits. Liberty Media subsequently spent $5 billion on nine German regional cable networks. Apart from television distribution it held major interests in other groups. For example, it was the largest shareholder in News Corporation (though the founding Murdoch family owns more voting shares), and had a 4% stake in Time Warner. In June 2005, Liberty Media International combined with UnitedGlobalCom, creating Liberty Global. In May 2006, Time Warner acquired Liberty Media's 50% stake in Court TV for $735 million. On May 16, 2006, IDT sold its IDT Entertainment division to Liberty Media "for all of Liberty Media's interests in IDT, $186 million in cash and the assumption of existing indebtedness". IDT Entertainment's assets and Starz Entertainment Group's line of premium television channels combined to produce content for all distribution platforms. Liberty negotiated an asset swap with News Corp. and Time Warner that would give it control of DirecTV and the Atlanta Braves baseball team. On February 12, 2007, the deal was completed with Time Warner wherein Liberty would receive the Atlanta Braves and a group of craft magazines , along with $1 billion in cash in exchange for 60 million shares of Time Warner stock (valued at $1.27 billion as of market close on February 12, 2007). The deal was approved by Major League Baseball and then completed on May 16, 2007. On February 20, 2008, the Federal Communications Commission approved the exchange of 16.3% of News Corp. for 38.4% of DirecTV, an $11 billion deal that also gave Liberty sports networks in Denver, Pittsburgh and Seattle plus $550 million in cash. In April 2007, Liberty completed a purchase of Green Bay, Wisconsin, television station WFRV-TV, and satellite station WJMN-TV in Escanaba, Michigan, which serves the Marquette, Michigan, market. The deal was part of a swap of 7.59 million shares of common stock in CBS, the stations' owner, that was held by Liberty Media; in exchange for the stock, CBS gave liberty the stations and $170 million in cash. Liberty announced plans in April 2011 to sell WFRV and WJMN to Nexstar Broadcasting Group for $20 million. On February 17, 2009, Liberty announced that it would invest up to $530 million into the struggling Sirius XM Radio Inc., in a structured deal that would help the satellite radio provider avoid filing bankruptcy protection by meeting its obligations. The deal provided two board seats for Liberty Media, and provided cash for operations and development, with a maturity date of December 2012 for the loan. On March 6, the two companies approved the second part of the deal, with Sirius XM getting $250 million immediately and Liberty receiving 12.5 million shares of preferred stock convertible into a 40% ownership of Sirius XM common stock. In 2010, Liberty Media announced that it would spin off Liberty Starz and Liberty Capital and keep Liberty Interactive. The spinoff took the name Liberty CapStarz, but renamed itself Liberty Media in 2011. On the Fortune 500 list 2011, Liberty Media was ranked 224, moving up from 2010 when they were ranked 227. In May 2011, Liberty announced it was in talks to buy the Barnes & Noble bookstore chain for $1.02 billion. It eventually bought a 16% stake in the form of preferred stock in Barnes & Noble for $204 million. On August 8, 2012, Liberty Media announced that it would spin off Starz into a separate publicly traded company. The spin-off of Starz Inc. was completed on January 15, 2013. The company agreed in March 2013 to pay $2.62 billion for 27.3% of Charter Communications from Apollo Management, Oaktree Capital Management and Crestview Partners with the provision that Liberty would not increase its stake past 35% until after January 2016 but no more than 39.99%. By May 1, Liberty completed the transaction and placed four directors on Charter's board. In 2014, Liberty Media spun off TruePosition and its holdings in Charter Communications into a new company, Liberty Broadband. In late 2016, Liberty Media agreed to buy the Formula One Group for US$4.4 billion (£3.3 billion). The deal was finalized in January 2017 for a total of US$4.6 billion (£3.44 billion). Court TV (now TruTV) – this was a 50% stake with Time Warner which bought the other 50% of Court TV on May 12, 2006, for $735 million. Starz Media – (75%); The Weinstein Company, (25%) Spun off as Starz Inc. on January 15, 2013. Acquired by Lionsgate on December 8, 2016. Sportsnet (formerly CTV Sportsnet – 20%) – now wholly owned by Rogers Media. MacNeil/Lehrer Productions (67%) – sold to WETA-TV. TruePosition, a company providing law enforcement and security agencies with positioning data. On September 3, 2008, Liberty Media decided to initiate the process of spinning off Liberty Entertainment to Liberty Media shareholders, leaving Malone with a majority ownership of the new company. On May 4, 2009, The DirecTV Group Inc. said it would become a part of Liberty's entertainment unit, part of which would then be spun off as a separate company called DirecTV. The new company would also acquire Liberty's one hundred percent interests in the three FSN networks and its 50% interest in GSN. The rest of the unit would be traded as Liberty Starz. Liberty would increase its share of DirecTV from 48 to 54%, with Malone and his family owning 24%. On May 4, 2009, Liberty announced that it would split off Liberty Entertainment, Inc., a subsidiary owning the three Fox Sports Net (FSN) channels (now Root Sports) acquired under the swap with News Corp. and Liberty's 65% interest in GSN, into a separate company that would merge with The DirecTV Group, reducing Liberty owner John Malone's stake in DirecTV to 24%. The merger was completed on November 19, 2009, with The DirecTV Group and Liberty Entertainment becoming subsidiaries of a new company named DirecTV. On June 16, 2010, Malone exchanged his preferred stock in DirecTV with equivalent amounts of common stock, reducing his voting interest in the company from 24% to 3%, with Malone resigning as chairman and ending his managerial role at DirecTV. ^ The postal designation of Englewood, a city in neighboring Arapahoe County, is used in the company's mailing address. ^ a b c d e "2016 Form 10-K, Liberty Media Corporation". U.S. Securities and Exchange Commission. ^ "Liberty Media". Fortune. Retrieved 2018-12-18. ^ LLC, Starz. "(Press Release) Former Liberty Media President, Peter Barton, Dies; 1951 - 2002". www.prnewswire.com. Retrieved 2015-04-24. ^ "TCI To Sell Sprint PCS Stake; U.S. OKs Merger with AT&T". Los Angeles Times. December 31, 1998. p. C-3. Retrieved February 24, 2009. ^ Group, Liberty. "(Press Release) Liberty Media Group Reports First Quarter Results". www.prnewswire.com. Retrieved 2015-04-24. ^ "The New TCI: What's Left?". CNNMoney.com. June 24, 1998. Retrieved May 6, 2009. ^ "Liberty Media, TCI Ventures To Merge". Los Angeles Times. June 25, 1998. p. D-7. Retrieved February 24, 2009. ^ (Press Release) http://www.prnewswire.com/cgi-bin/stories.pl?ACCT=104&STORY=/www/story/04-16-1999/0000910826&EDATE= (via PR Newswire). Retrieved March 5, 2009. ^ (Press Release) http://www.prnewswire.com/cgi-bin/stories.pl?ACCT=104&STORY=/www/story/09-10-1999/0001019050&EDATE= (via PR Newswire). Retrieved March 5, 2009. ^ "Liberty Media, TCI Form Internet Group - InternetNews". www.internetnews.com. Retrieved 2015-04-24. ^ Doan, Amy (August 26, 2000). "Liberty Is Sweet on Interactive TV". Forbes. Retrieved March 5, 2009. ^ (Press Release) http://www.prnewswire.com/cgi-bin/stories.pl?ACCT=104&STORY=/www/story/12-21-1999/0001102058&EDATE= (via PR Newswire). Retrieved February 24, 2009. ^ "Liberty Livewire Corporation - Company Profile, Information, Business Description, History, Background Information on Liberty Livewire Corporation". www.referenceforbusiness.com. Retrieved 2015-04-24. ^ Colman, Price (November 26, 2000). "No Triumph for Liberty: What Went Wrong and How Bennett and Malone Expect To Make It Right". Broadcasting & Cable. p. D-7. Retrieved February 24, 2009. ^ Farrell, Mike (June 18, 2001). "AT&T To Spin Off Liberty Aug. 10". Multichannel News. Retrieved May 6, 2009. ^ "AT&T To Spin Off Liberty". CNNMoney.com. November 15, 2001. Retrieved May 6, 2009. ^ [dead link] Alleyne, Llanor (October 16, 2001). "Liberty Absorbing Digital, Satellite Units". Broadcasting & Cable. ^ "Gates Stake Lifts Liberty Satellite". Multichannel News. April 22, 2001. Retrieved May 6, 2009. ^ "Time Warner Takes Control of Court TV". CNNMoney.com. May 12, 2006. Retrieved May 6, 2009. ^ (Press Release) http://www.idt.net/about/press/story.aspx?id=15601 IDT Corporation. Retrieved January 2, 2009. ^ Lieberman, David (December 26, 2006). "Liberty Media Deals for DirecTV". USA Today. ^ Blum, Ronald (February 13, 2007). "Time Warner Reaches Deal to Sell Braves". The Washington Post. ^ (Press Release) http://www.timewarner.com/corp/print/0,20858,1622200,00.html[permanent dead link] Time Warner. Retrieved May 6, 2009. ^ Hearn, Ted (February 25, 2008). "Liberty Media Completes DirecTV Buyout". Multichannel News. Retrieved May 6, 2009. ^ "Archived copy". Archived from the original on 2007-05-01. Retrieved 2007-04-11. CS1 maint: Archived copy as title (link). CBS Corporation. Retrieved January 2, 2009. ^ "Nexstar To Acquire CBS Affiliates WFRV, WJMN for $20 Mil". Broadcasting & Cable. April 7, 2011. ^ Boorstin, Julia. "Liberty Media Saves Sirius XM From Bankruptcy". Retrieved 2015-04-24. ^ "Radio Ink Magazine". www.radioink.com. Archived from the original on 2015-10-19. Retrieved 2015-04-24. ^ "Fortune 500 2011: Top 500 American Companies – Liberty Media – LCAPA – Fortune on CNNMoney.com". CNNMoney.com. 2011. Retrieved August 9, 2011. ^ Liberty Media Bids for Barnes & Noble, Russell Adams and Jeffrey A. Trachtenberg, Wall St Journal, 20 May 2011. Retrieved: 21 August 2013. ^ Liberty Buys a Stake in Barnes & Noble for $204 Million, Michael J. De La Merced, Dealbook, New York Times, 18 August 2011. Retrieved: 21 August 2013. ^ Lieberman, David. Liberty Media To Pay $2.62B For 27.3% Of Charter Communications. March 19, 2013. Deadline.com. ^ Liberty Completes $2.6B Charter Purchase; John Malone Among Board Additions. May 1, 2013. Deadline.com. ^ "Liberty Media spinning cable businesses into new Liberty Broadband unit". FierceCable. Retrieved 2017-09-24. ^ "US media firm Liberty Media to buy Formula 1". 7 September 2016. ^ Sylt, Christian. "Revealed: How Liberty Media Bought Formula One For $301 Million". Forbes. Retrieved 2018-06-05. ^ http://www.timewarner.com/corp/newsroom/pr/0,20812,1193700,00.html. Time Warner. Retrieved January 2, 2009. ^ . Retrieved January 2, 2009. ^ Mullaney, Tim; Riddell, Kelly (May 4, 2009). "DirecTV Group To Combine with Liberty Entertainment". Bloomberg. ^ "DirecTV Completes Merger Transaction with Liberty Media". DirecTV. November 19, 2009. ^ "DirecTV Completes Malone Exchange Transaction". DirecTV. June 16, 2010. Archived from the original on August 17, 2010.